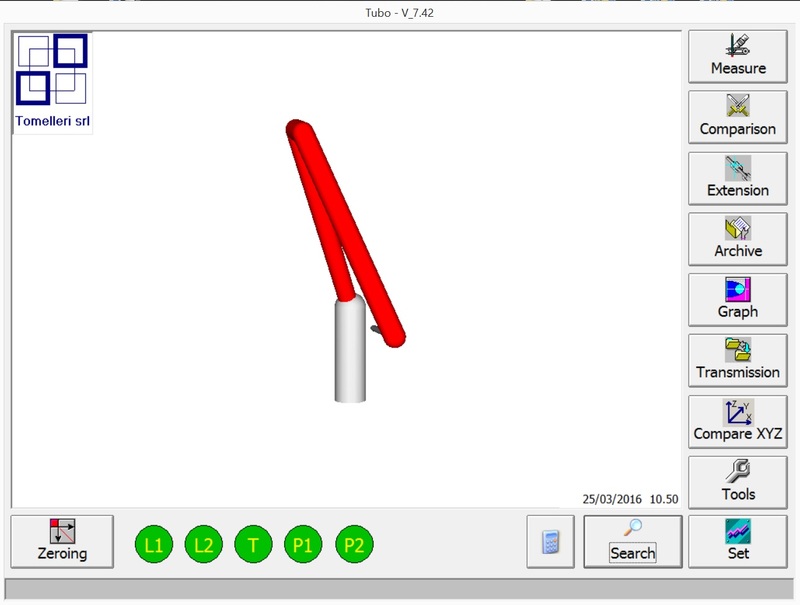 SPACE Tubo it’s the perfect equipment for pipe inspection with laser fork and dedicated software. 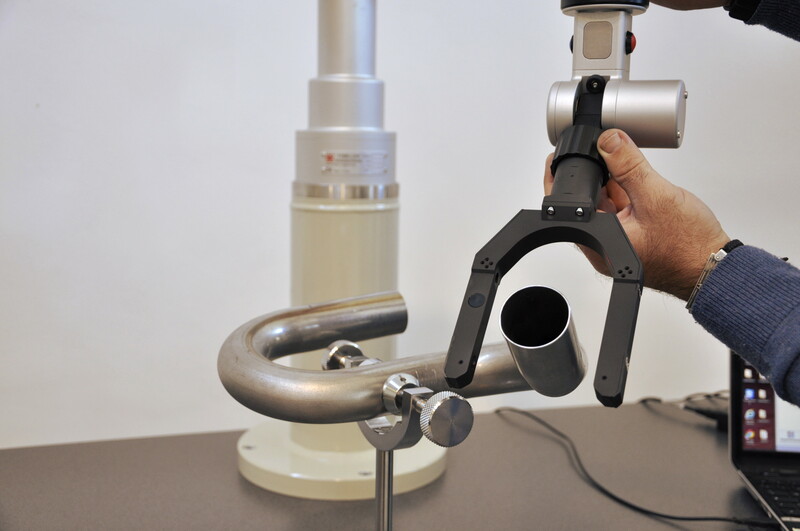 It’s based on the SPACE arm design, is a portable articulated arm CMM ideal for quick and accurate inspection of pipes and any other parts within its range. 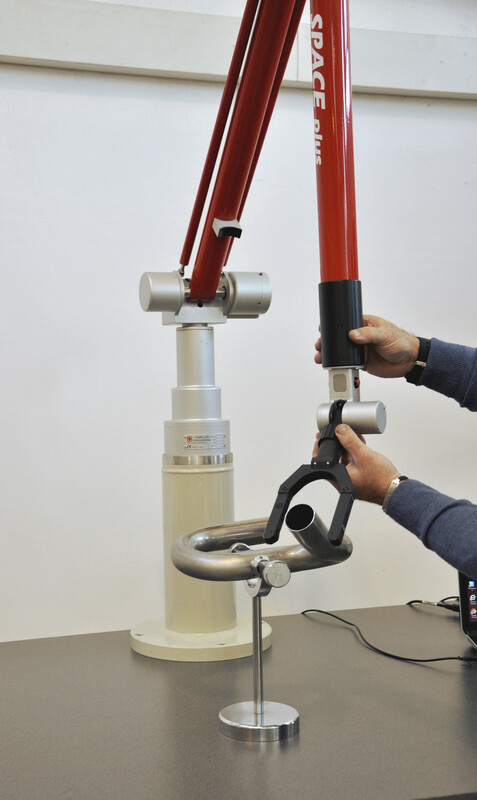 The result of more than 25 years of experience in production of portable measurement arms. SPACE Tubo is available in several size: from 1.8m to 5.0m diameter range, and in 6 or 7 axis configuration. The counter-balance system with a double spring also gives the machine characteristics of precision light-weight and easy handling. It’s the top of reliability, accuracy, and flexibility in use. 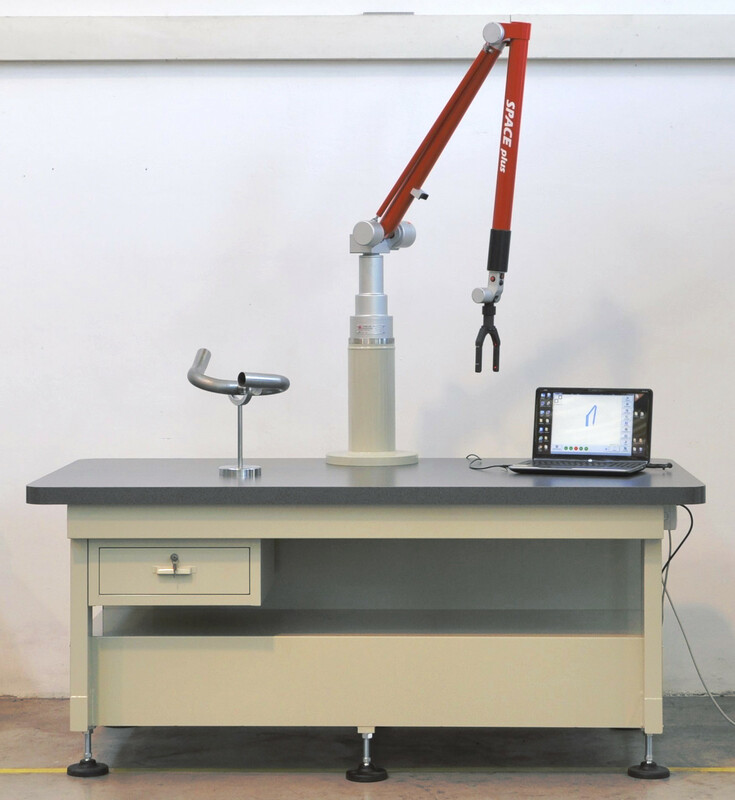 Touch trigger probe, “floating” probe, laser scanners and laser forks can be quickly interchanged thanks to a highprecision mount. It has some unique features like the magnetic brake, or the smart the sensitive “floating” probe. Alignment: possibility to obtain the data of the measured tube regarding (aligned) a master tube that is already in memory, to an external reference or to a drawing (manual and automatic procedure). Creation of material archive for the spring-back compensation to apply to the bending program. 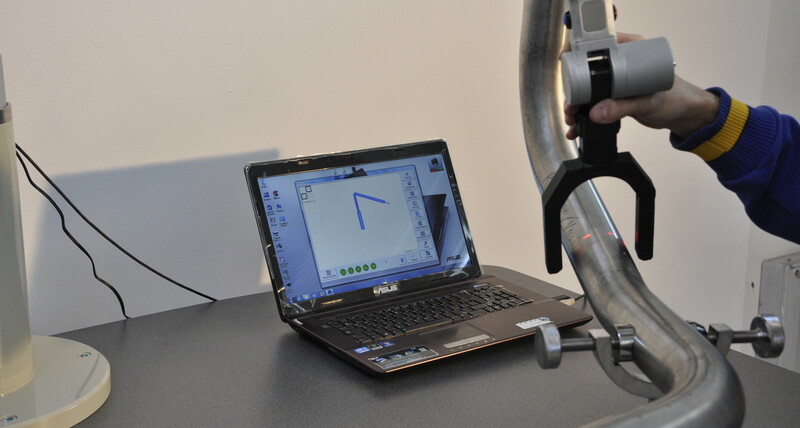 Measurement of tubes having non constant bending radius and variable rotation along the bend without straight lengths. 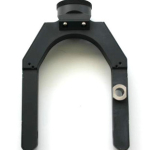 Ideal accessory for the rapid measurement without direct contact with the pipe. The smaller forks feature with a laser pointer to spot small pipes during the measure. 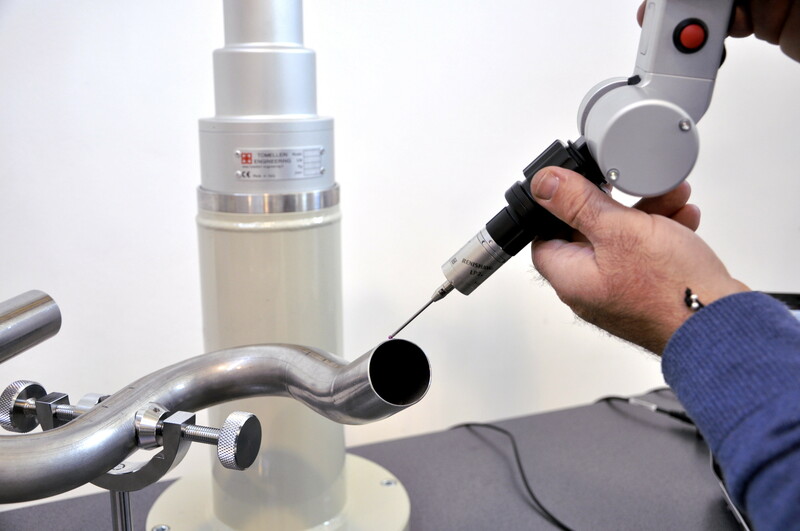 Pipes from 2mm to 180mm of diameter can be measured with the use of laser forks, larger diameters can be measured with the touch probe. 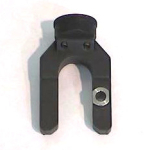 The touch trigger probe allow to acquire points applying the minimum force on the measured part. Is a very precise, quick and comfortable in use, acquires points only touching the surface, without triggering buttons. Available with many different stylus length and sphere diameters. 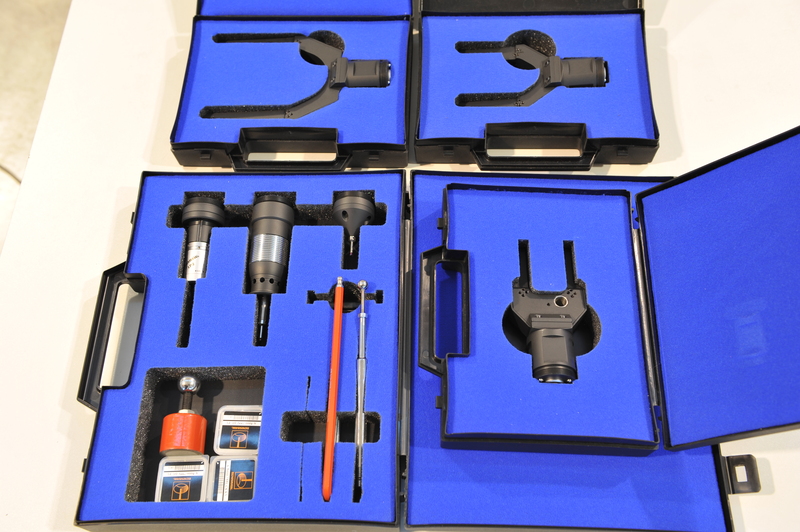 All the available probes fits the same mechanical mount of the standard SPACE version and are interchangeable. 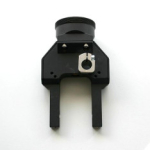 The precision mount is extremely repeatable and allow to switch from one probe to another without recalibration. 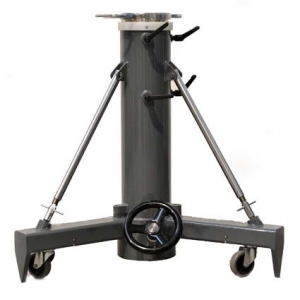 Stable and practical, is the ideal accessory to move easily and quickly the SPACE arm. The leaflet at the base allows you to quickly switch the from measurement position to mobile position, and vice versa in a gradual way without shocks. 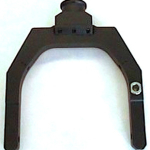 The tripod is adjustable in height and the weight of the tripod column is balanced by a gas spring, and a side handle allows for vertical and horizontal movement of the tripod. Perfect and unique accessory for this type of arm. The portable arm unit can be placed on the top of the table with a support or just directly on the rigid laminate top surface. inspection with great comfort of use. Simply creating your inspection zone, beside the pipe bending machine or just in a dedicated area of your workshop. 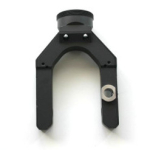 Available for every size of SPACE TUBO arm.